I had also heard that line drying was better. One of the reasons I was also told not to put them in the dryer was that drying might wear out the diapers so it is interesting to hear an counter opinion. I may have to try putting them in the dryer a couple of times and seeing how it goes. Yes, I’ve heard the same. The elastic can wear out faster in the dryer. I may just limit the drying to when the diapers start to get a little stinky. That way I’ll get the best of both worlds right? Yes, good point. I will keep that in mind. Just once in a while to keep the funky smells away. Such cute diapers! I love the mushroom print and want to take it home with me 😀 Where did you find freebies? That would be so great for making the burden a little lighter in the beginning! Thank you – I love the prints so much! 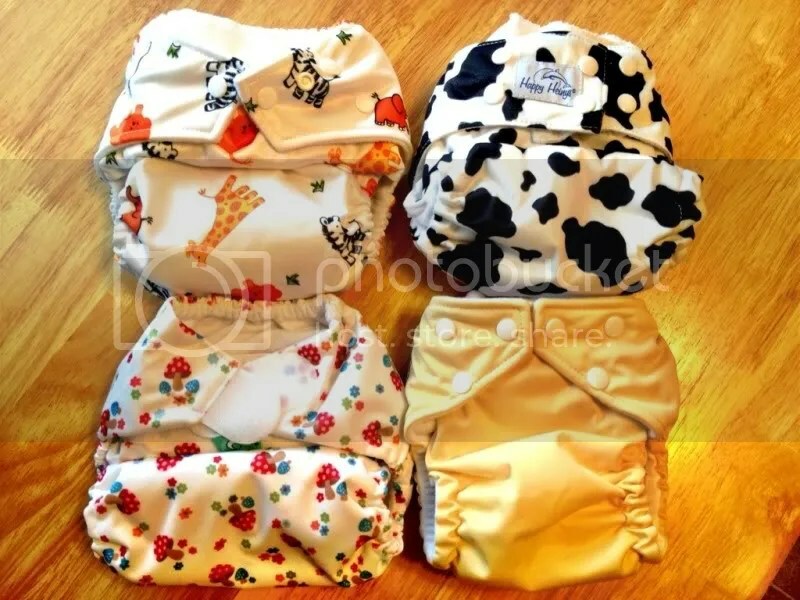 Sometimes Diapershops.com has coupons – they have one going on right now for a free one-size! I follow them on facebook to get the updates. Their diapers aren’t always inexpensive (although really they’re no more expensive than other places) but the free ones help even it out for sure!